How do I choose the right color for a song? If you’ve ever gotten to experience the programming process for a show you understand how frustrating it can get picking a color for a song. If you’re like me, watching a show can get additionally aggravating if the color doesn’t match the music. 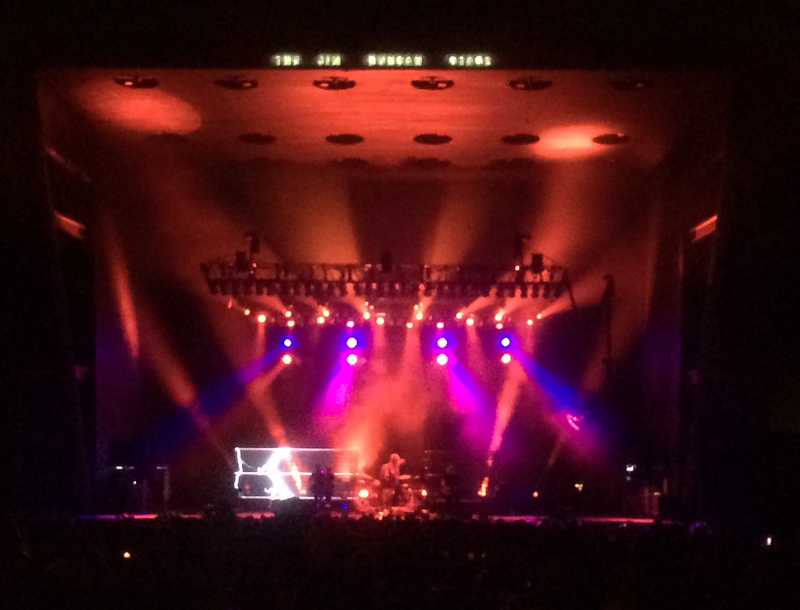 When I was interviewed about Little Big Town’s Tornado tour I said, “Ultimately, the music inspires the lighting. Tone dictates color, and visually draws out various feelings and emotions.” I feel that this is still the case today, and it is even more involved in a show psychologically than I may have indicated in the past. Color is important. I was first clued into that color can have a powerful effect on the human brain when I heard about why McDonalds chose red for their old-style countertops. Somebody in their vast marketing department had done the research on what color stimulates your digestive system making you hungry, apparently, red and orange were the winners. If you’ve been to a Mickey-D’s recently, they’ve changed their look to earthy tones – which do not necessarily decrease your appetite, but makes the room feel more ritzy. Check out this article on Restaurant Psychology. While in college, I had a friend doing a research project on people who had Synesthesia. According to wikipedia, “Synesthesia is a neurological phenomenon in which stimulation of one sensory or cognitive pathway leads to automatic, involuntary experiences in a second sensory or cognitive pathway.” She was researching the linkage to perfect pitch and seeing color, which oddly enough is something a bit different. Synesthesia happens when you eat broccoli and it tastes purple, or you hear something and it sounds red, or tastes like a grape. It was these linkages that made me begin thinking that there is more to color than just wavelengths of light. Take a look at career development. When interviewing for a job, do you want to come across as powerful, and confrontational, or wise, loyal, and trustworthy? Chose the color you wear carefully. If you chose the former, you have issues, and would be wearing red. If you chose the latter, you would be sporting blue. I read a real good article by Walter Graff which goes into greater detail about color psychology, even touches on film for a bit. You can find the article on www.waltergraff.com or here. 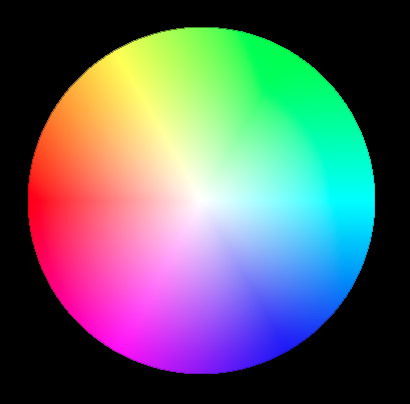 Linking all this science of color back to lighting: what color do you choose to represent a song? Is the song intense? Is it happy or sad? You can help reinforce those emotions using color. I’ve done this intuitively for years without being conscious of it, when I was programming for an artist, a song would “sound” or “feel” a specific color to me. The other side of that coin, was that songs never sounded one solid color to me. On one occasion I mixed red and blue on a song which its verse was slow and calm, but had a fairly intense chorus. The audio engineer at the time looked up and said that the lights made him feel uncomfortable – obviously I had to keep it that way from that point on. I was playing with people’s minds. The red and blue color combination reflected opposing emotions, the lyrics to that song were just as confusing, full of opposing emotions, so I felt the lights should do the same. The other side of the color-coin is that color can also help visually move you through a song: color is not necessarily limited to an effect on your emotions but can assist in your perception of the song. One thing I like to do while programming is accent the changing of the song from verse to chorus by changing the color of the lights – this concept visually helps to move the audience through the song, while audibly, the change in chord and lyrical structure is doing the same through the ear. Artists and musicians don’t often use the same chords or lyrics for the verse, chorus or bridge: they change. As a lighting programmer it is my job to accent the music. If the music is changing the lights should be changing. Say you have a song that features a happy, sassy chorus, but it slows a bit on the verses. I would use, lighter, warmer tones on the Choruses, and calmer, cooler tones on the verses. I may also throw in a consistent color somewhere to help bring it all together. Color is a powerful thing (I’ve heard alternating red and green can cause seizures). The proper use of color can help accent the music, drive emotion and visually improve your show and the overall concert experience. Best of all, no answer is wrong. No one sitting in your audience is going to consciously hate your show because you used red on a happy song, unless of course I decide to come see it. Experiment. If it doesn’t feel broke, don’t fix it. If you don’t like the lighting on a particular song night after night, and can’t put a finger on what’s bothering you, change the color, you could be getting conflicting emotions. When I started this post I didn’t know how much research had been done on color and music, but I haven’t had a shortage of research material. All the articles I’ve read are linked within this post, for you to read at your leisure. I’ve had a lot of fun putting this blog post together and there’s a ton more that I could have written about from the research I had to do for this one.